Publisher: Urbana, Illinois: University of Chicago Press, 2013. 288p. The strongest parts of this book are the Introduction and Preface. Robert “Mickey” Lombardo grew up in Chicago and had a 28 year career with the Chicago Police Department, including with its organized crime unit. Throughout the book, he pays homage to the University of Chicago’s Sociology Department which was responsible for the birth and growth of urban sociology in its early years. As Lombardo indicates: “Sociology and organized crime grew up together in Chicago during the decades that followed World War I” (x). He also acknowledges John Landesco’s classic work, Organized Crime in Chicago, describing it as “the single most important sociological work ever written about this subject“(x). Lombardo utilizes a triangulated methodology in his research, including: interviews with police officers, federal agents, federal prosecutors, college professors, racket subculture residents, associates of organized crime figures, as well as organized crime members. Government reports and documents, academic books, court material and investigative memoranda were also reviewed. Records and archives of the Chicago History Museum and Chicago Crime Commission were examined as well. Libraries of newspaper clippings were also found to be useful. In Chapter 1, “Explaining Organized Crime”, the author begins by comparing the “alien conspiracy theory” with the “ethnic succession theory” of organized crime. The former incorrectly assumes that organized crime was imported into the United States along with Italian immigration while the latter views organized crime as the product of a succession of ethnic groups that are rooted in the social structure of American society. According to Lombardo, the alien conspiracy theory remains the official position of the FBI and dominates the literature on organized crime. Chapter 1 reviews organized crime theory and is critical of the alien conspiracy theory. It also reviews relevant sociological theory such as human ecology, cultural transmission and differential social organization theories. Chapter 2 “The Gem of the Prairie, ” looks at crime in Chicago from the Civil War until Prohibition, when the city’s political machine provided protection to vice syndicates. He generally examines the history of corruption and organized crime in Chicago. The Black Mafia is the subject of Chapter 3. This ignored subject is covered and described as not succeeding, but rather existing alongside Irish and Italian organized crime. Chapter 4 “The Syndicate,” reviews the Prohibition era in Chicago. Al Capone, Johnnie Torrio and the beer wars gave way to illegal gambling and racketeering. The Forty-two gang is covered in Chapter 5, using primarily the unpublished manuscript collection of John Landesco. “The Outfit”, Chapter 6, covers the post-1950 period. This was an evolution of the Capone-Torrio syndicate into the modern Outfit. Lombardo explains the organization’s structure, chain of command and division of labor. Finally, Chapter 8 “Street Crew Neighborhoods,” details the various organized crime neighborhoods of Chicago: Taylor Street, Grand Avenue, Twenty-sixth street, the North Side and the Chicago Heights suburb. Organized crime in Chicago was not, Lombardo concludes, due to any foreign criminal group (alien conspiracy). Instead, political corruption and an ineffective criminal justice system were responsible; it was the product of America’s disorganized urban areas. 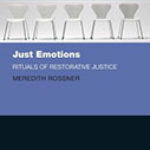 Beginning with an account of the Chicago School of Sociology and theories in Criminology, the author anchors his analysis in a very academic and informed analysis. His contrast of two key concepts in the field, “alien conspiracy theory” and “ethnic succession theory” gives the book both structure and form, on which the author can hang his analysis. Particularly strong is his historical accounts of organized crime in the city. The descriptions are detailed, but not overwhelming. Coming from Chicago himself, both from the streets and the police department, his accounts have a certain realism about them that reflect the eyes of a native. Lombardo does a masterful job of integrating and critiquing sociological theories with his contrast of “alien conspiracy” and “ethnic succession theory.” Cultural deviance is the basis of the alien conspiracy argument – one depicted in the film The Godfather – a Sicilian immigrant family which brought mafia traditions to America. This migration produced cultural conflict. That tradition was reflected in the writings of William Foote Whyte and Francis Ianni. Lombardo finds little support for the alien conspiracy approach and even less support for the Black Hand theory of the origin of the American mafia. He correctly notes: “The Black Hand was not a criminal organization, but simply a crude method of extortion used to blackmail wealthy Italians and others for money” (p. 17). The extortion letter usually contained a drawing of a black hand. Social disorganization theories provide support for ethnic succession theory, wherein rapid social changes gave rise to deviance and organized crime. This occurred because societal heterogeneity places strain on primary group relations which leads to a decrease in social control. According to Durkheim, anomie arises in society due to rapid social change. Daniel Bell views ethnic succession as offering a “queer ladder of mobility” for poor migrants when social controls are weakened. While the Chicago school of sociology did not specifically address the issue of organized crime, its theoretical work provided the underpinnings for explanation. 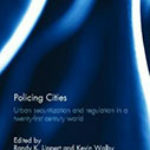 Differentially organized communities, urban slums, led to crime. Landesco’s work argued that gangsters did not come from Sicily or the south of Italy, but instead from the slums of American cities. The work of Cloward and Ohlin specifically tracked the type of deviance arising in these cities as due to both the legitimate and illegitimate opportunities in their neighborhoods. Lombardo addresses the often neglected subject of “The Black Mafia.” Black organized crime is often incorrectly described as an example of ethnic succession. Lombardo (and this reviewer) disagree with this conclusion, and Lombardo presents detailed examples of black organized crime activities in Chicago existing alongside those of other historical groups. In describing the “Black Metropolis,” Lombardo examines the segregated black community that had its own elected officials, business community and underworld. Chicago’s South Side “black belt” was the second largest Black community in the world — exceeded only by Harlem. Lombardo concludes that: “Black gamblers in Chicago were once among the most powerful criminal groups ever to exist in America. These findings also have important implications for the alien conspiracy theory. Sophisticated organized crime existed in Chicago’s African American South Side without the presence of the Mafia nor Italian gangsters” (p. 78). The author’s presentation is replete with explanations of common organized crime terms. For example, the term “bootleg” booze had its origins in the practice of hiding flasks filled with illegal booze in the leg of a boot. He tells us that the term “racket” can be traced to the gangs of New York. In the early nineteenth century, political and social clubs sponsored benefit dinners. These loud affairs were known as “rackets” because of the noise that they raised (p. 94). The term “Outfit” was introduced in the 1950s as a less lurid term than the word syndicate used by the media. It was a casual name used by gang members when they were talking among themselves and about their group (p. 119). Most of Capone’s gangsters were not Italian, unlike most of the members of the later Outfit. Beginning in the sixties, it became increasingly more difficult for the Outfit to operate in black areas. In 2005, the Outfit itself was indicted as a “criminal enterprise,” and 14 members were prosecuted with eight deadlocked juries. One of the strengths of this book lies in utilizing traditional and recent organized crime literature to explain the history of organized crime in one city. Surprisingly, there is no discussion of “Operation Mongoose,” the secret CIA-mafia link to assassinate Fidel Castro, nor the role of Chicago mobster Sam Giancana in that attempt. As an interesting sideline to this, at one point, President John Kennedy was sharing a girlfriend, Judith Exner, with that very same Sam Giancana. In sum, Robert Lombardo’s Organized Crime in Chicago is an excellent application of organized crime theory and issues to the specific setting of Chicago. It is well-written, interesting, and scholarly, and a major contribution to the organized crime literature. Lombardo’s explanation of the role of the Chicago School of Sociology and John Landesco in this history is particularly well-received. Bell, Daniel. The End of Ideology. New York: The Free Press, 1960.